Well...my reading is finished for 2010. I got through more books than I imagined, although I did not reach my goal of five per month, or 60 throughout the year. I enjoyed a lot of other things like frequent naps, especially the past few months of my pregnancy. 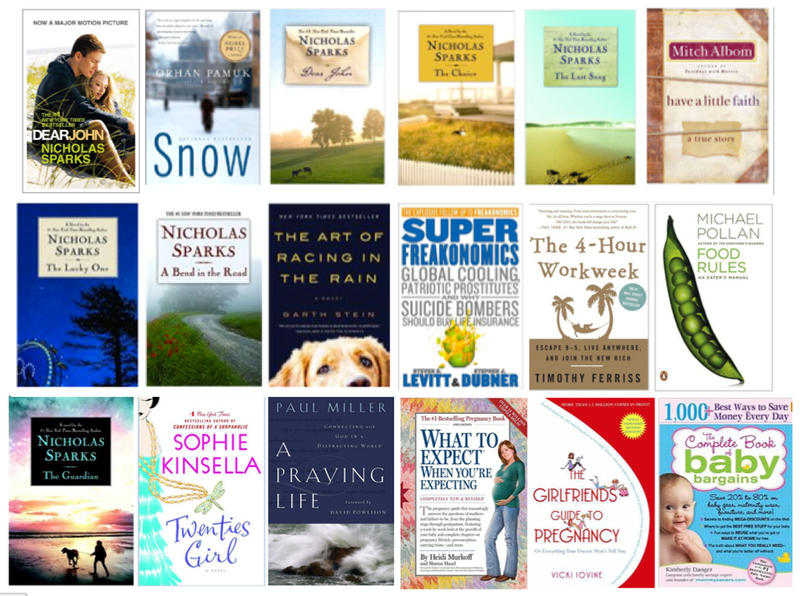 In total, I read 34 books with a good mix of substance and light reading and a whole lot of tears Nicholas Sparks. What do you think of my reading list? 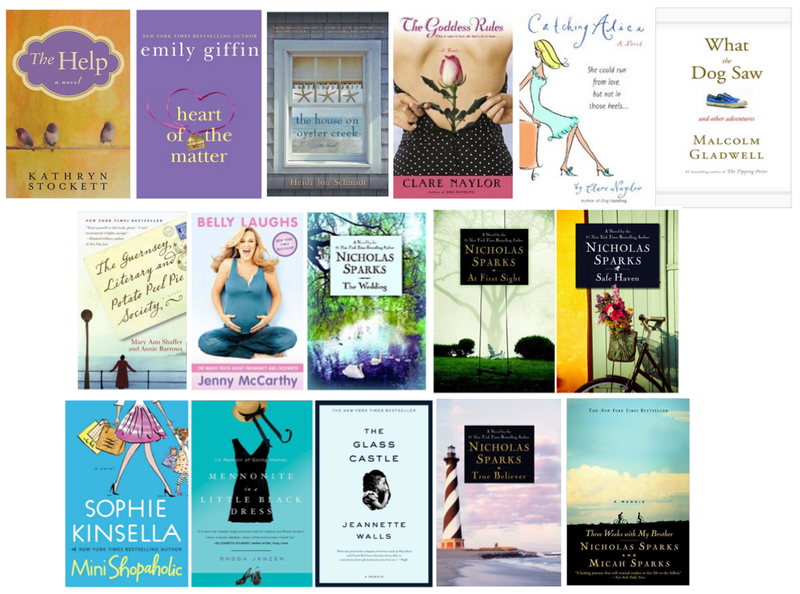 Have any of these books become favorites for you? Many left me eager to read more from a particular author, while others affirmed writing styles I tend not to care for. All in all, it made a good list. I am glad I read what I did.